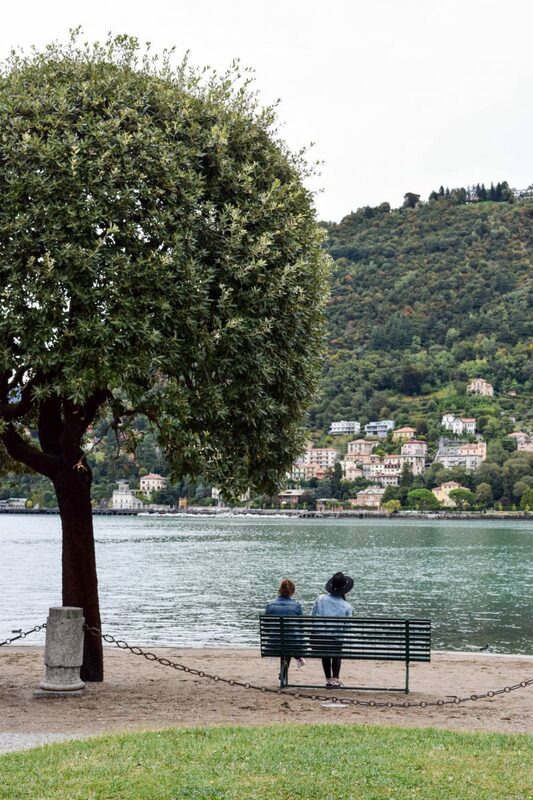 Excited to be sharing my first travel guide from our most recent trip to Italy with you today! 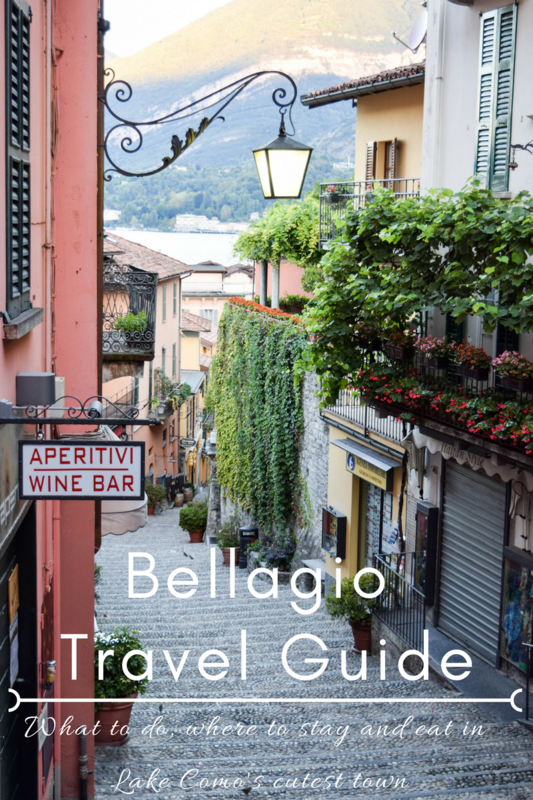 We spent the first half of our trip in Lake Como, staying in the absolutely charming town of Bellagio before heading on to Venice. 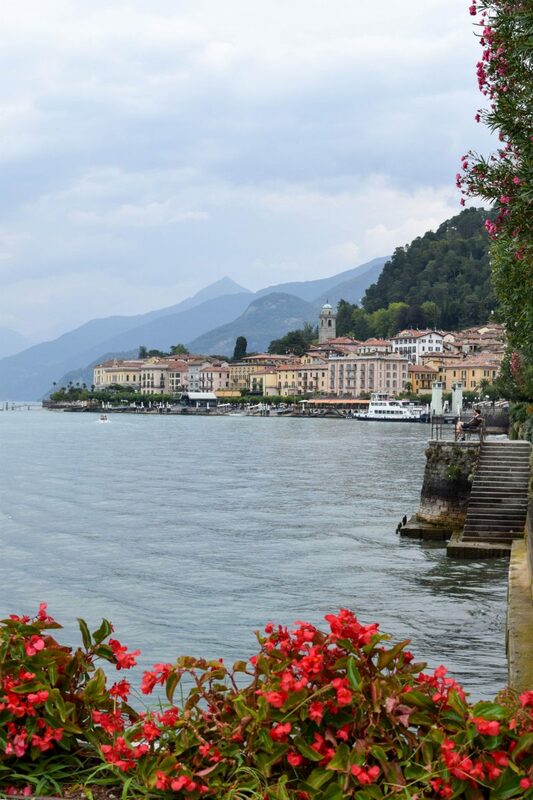 Bellagio, also known as the pearl of Lake Como, is a peninsula jutting out into the clear blue waters of Lake Como. 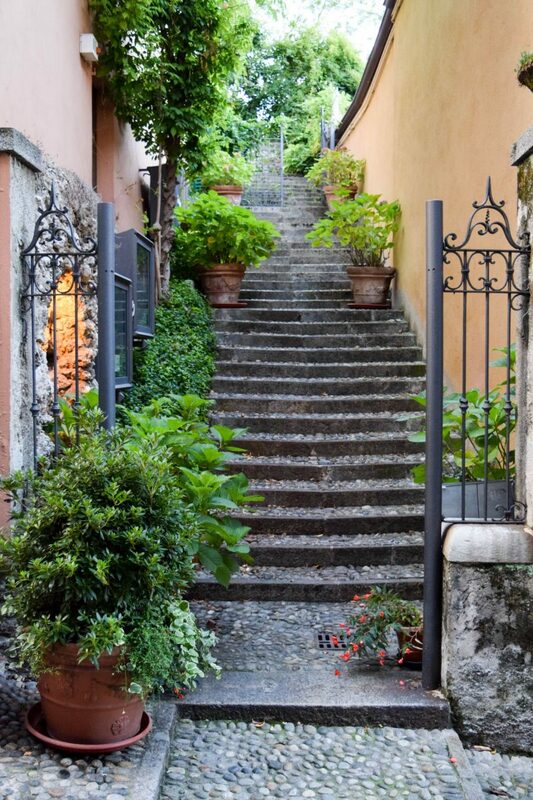 The town is known for its’ cobblestone streets, gorgeous shoreline and many stairs (as seen above). 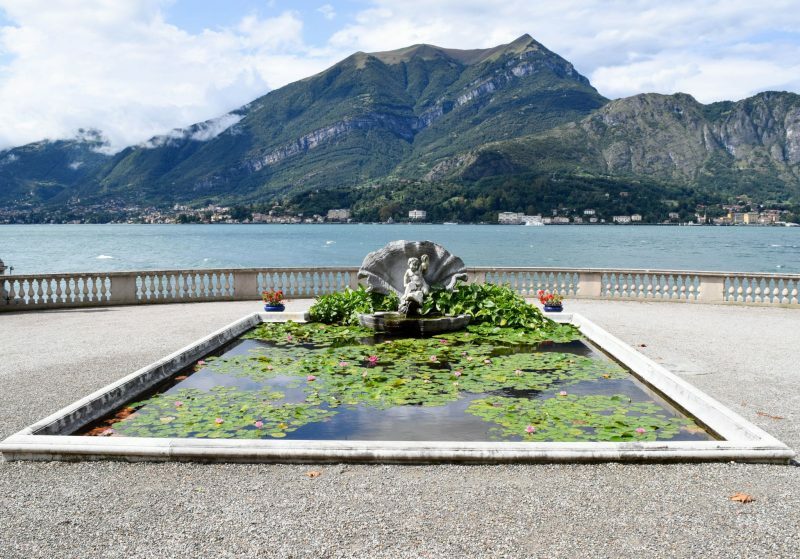 MJD and I had wanted to go to Lake Como for a while and were so glad we made the choice to have our home base during our visit be in Bellagio. 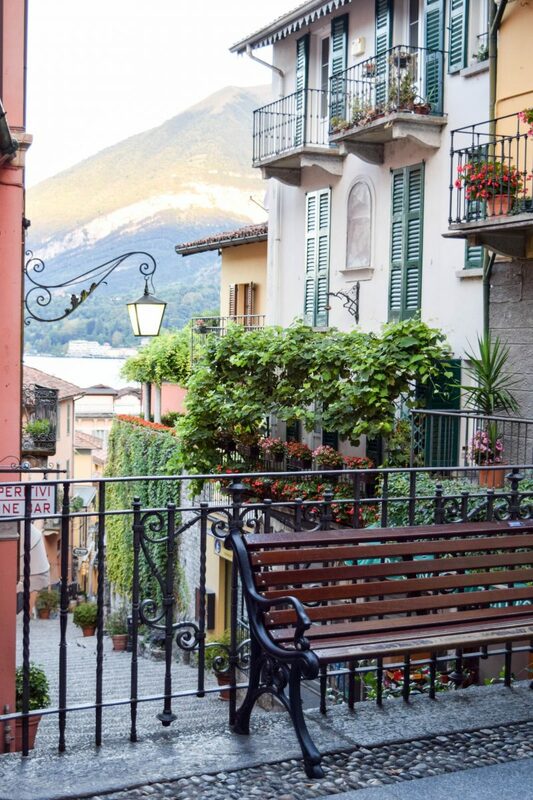 Wander around Bellagio’s cobblestone streets and staircases– Bellagio is a place you just have to explore to experience. With so many side alleys and staircases along the way, spend some time just walking around and I’m sure you’ll find a few hidden gems of your own. There was an entrance to stairs (two pictures above) a bit off the sidewalk near our hotel. We decided to check it out one evening before heading to town for a drink and ended up at the most beautiful lake side spot, complete with boats, ducks and stunning hills (see above). 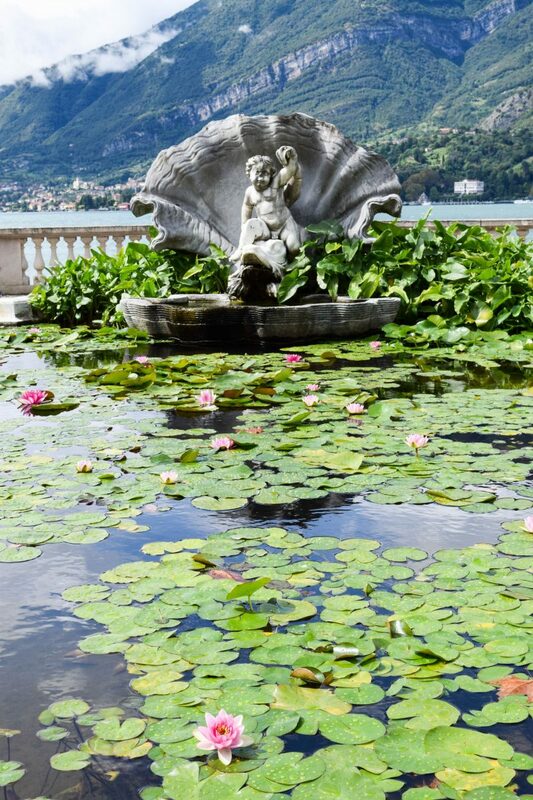 Visit the gardens at Villa Melzi– I think this was my favorite part of our time in Bellagio (besides the gorgeous pool views and food of course). 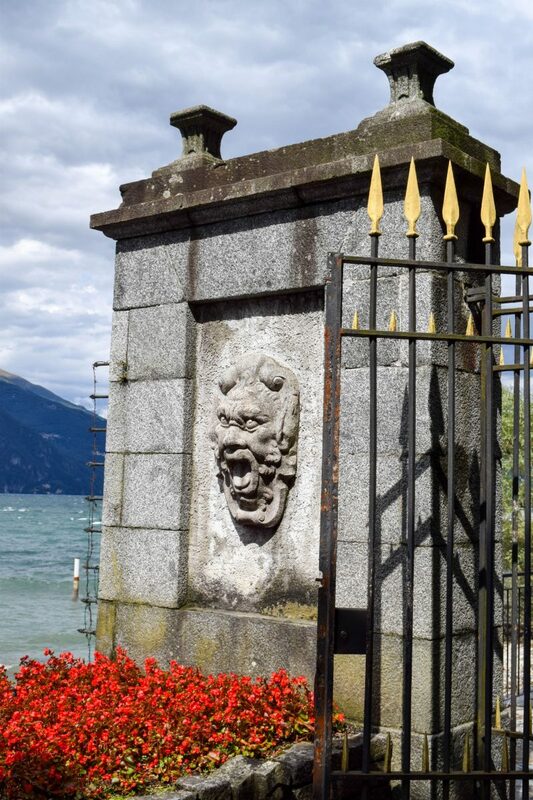 Villa Melzi was the home of Francesco Melzi d’Eril, a duke in the 1800s. 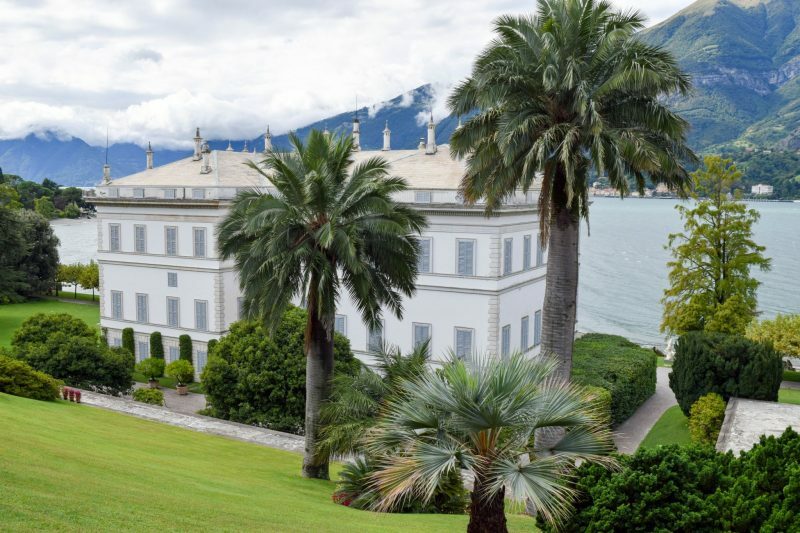 Today you can explore the gardens and take in the beauty of Melzi’s waterfront views and gorgeous estate for a low price of 6 euro a ticket. This is a must visit for anyone going to Bellagio. 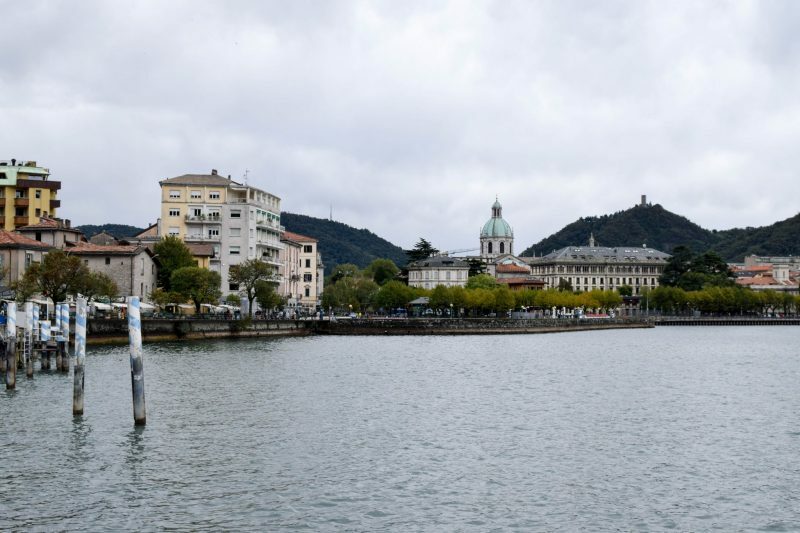 Take a boat to the other towns on Lake Como– The best way to see Lake Como is from the water, so whether you charter a private boat or take the local ferry, you have to get out there to see some of the other towns. During our stay the weather wasn’t the most cooperative so we only got to visit one other town- the city with the same name as the lake, Como. I’ll be completely honest and say Como wasn’t really what I was expecting. It was much more of a city than a cute village like Bellagio. 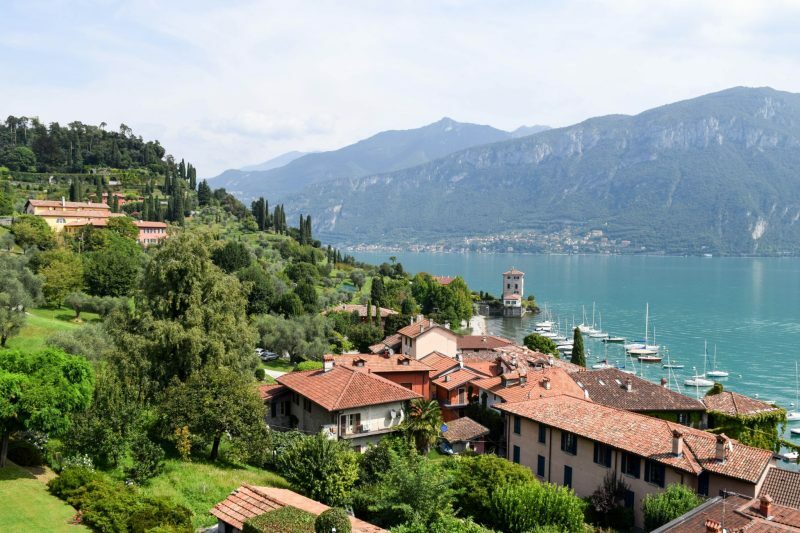 We did enjoy a nice afternoon taking in the cathedral there and even the ferry ride there and back was a gorgeous way to see the other, smaller villages along the way and some truly stunning estates (like George Clooney’s!). 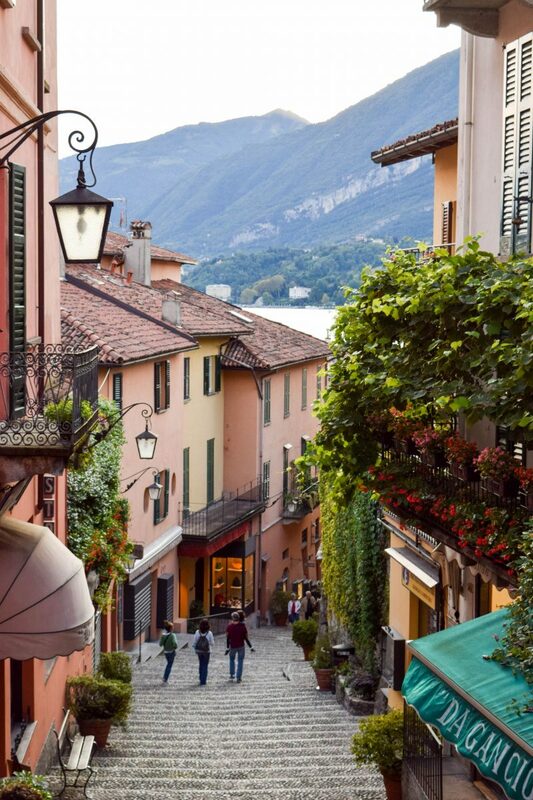 For a future visit, I’d probably spend my time visiting towns like Varenna, Lecco and Tremezzo. When in Italy, it’s hard to go wrong from a food and drink perspective. 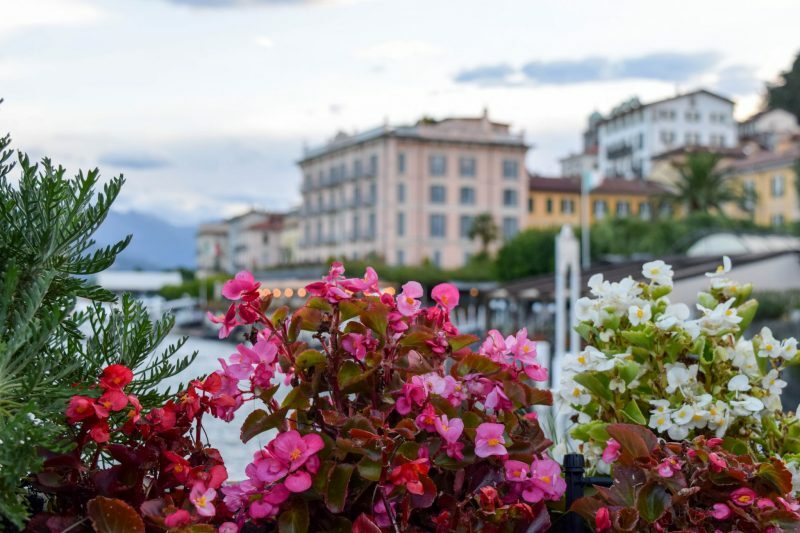 These were a few of our favorites in Bellagio for drinking and eating. 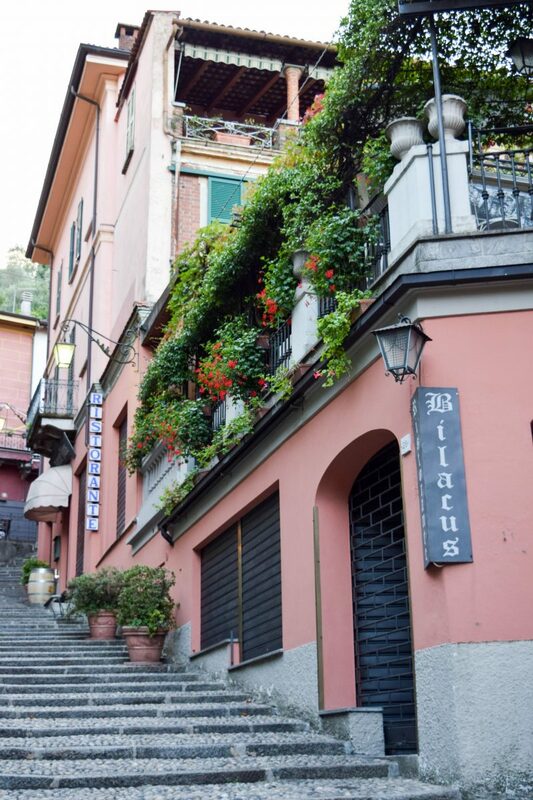 Bilacus– Located right on Bellagio’s most famous cobblestone street (Salita Serbelloni), Bilacus had seriously yummy food with a gorgeous terrace restaurant. We ate there our first night in Bellagio and I loved the spaghetti vongole. 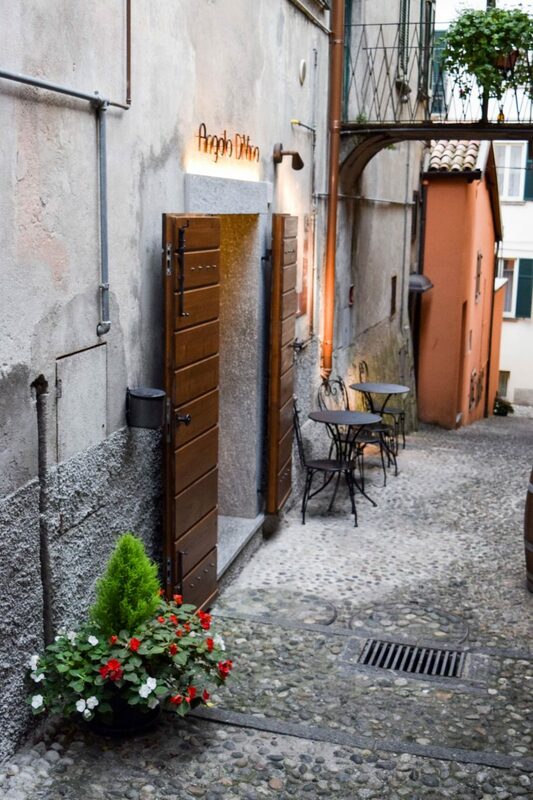 Angolo DiVino Wine Bar– During some of our exploring of side streets and alleys, we stumbled upon this wine bar. Run by a local family, we met both the son and mother that evening who were so welcoming and sweet. 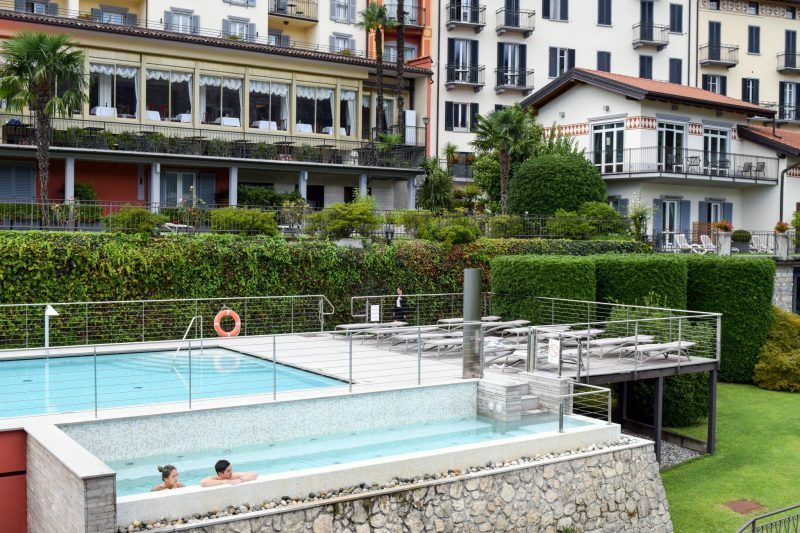 The mother was showing me pictures of all the famous movie homes on Lake Como- how adorable! Besides the great hospitality, they offered some amazing wines. MJD is a big fan of Italian wines (me too) and we tried some delicious Barolos and even picked up a bottle to enjoy on our balcony later too. It’s quiet, intimate and a romantic spot for a pre-dinner drink. Barchetta– The mother and son duo from the wine bar recommended we eat at Barchetta and so we went there the next evening for dinner. I am so glad we took their advice! 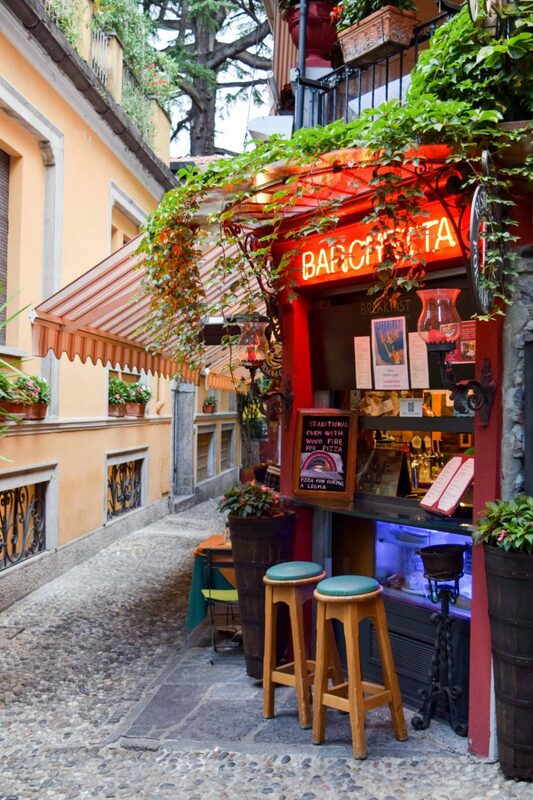 I had the best truffle risotto of my entire life here. No joke, it was life changing! We also shared a whole branzino which is very typical in the region and was great. The restaurant also has their own private label wines including a great Barolo which I think was crazy inexpensive (like 40 euros a bottle) and also very good. The restaurant is located upstairs, and while we did not get to try it, we heard the pizza downstairs was very good as well. 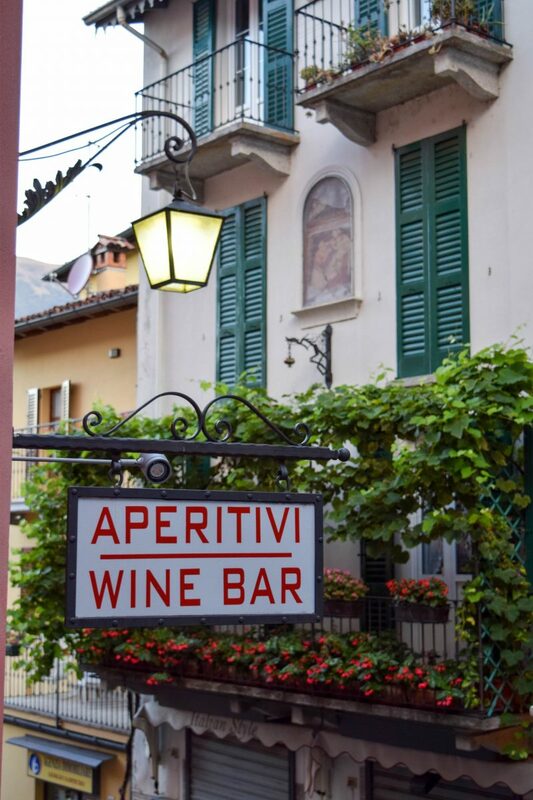 Apertivo et al– Another wine bar/wine cave in Bellagio, Apertivo is located on Salita Serbelloni and so you’ll see their sign in a lot of my pictures of that main street. Apertivo is a fun spot, playing American pop music (like Beiber and Katy Perry) with amazing wine flight offerings. We stopped by for what we planned to be a quick drink before dinner, but after ordering a “best of Italy” wine flight, we ended up staying even longer. The pours were generous and the server was very knowledgeable and shared a lot with us about the wines as we drank them. We went back a second time for an after dinner drink and we loved that you could take your wine outside and sit on the steps people watching. It did appear to be a place a lot of locals went later in the night too, so in my opinion that is how you know it’s good. Alimentari Da Caio– We stopped here for sandwiches for lunch one day and they were beyond delicious. Both MJD and I got a caprese with prosciutto and loved it. Be prepared the sandwiches are quite large. 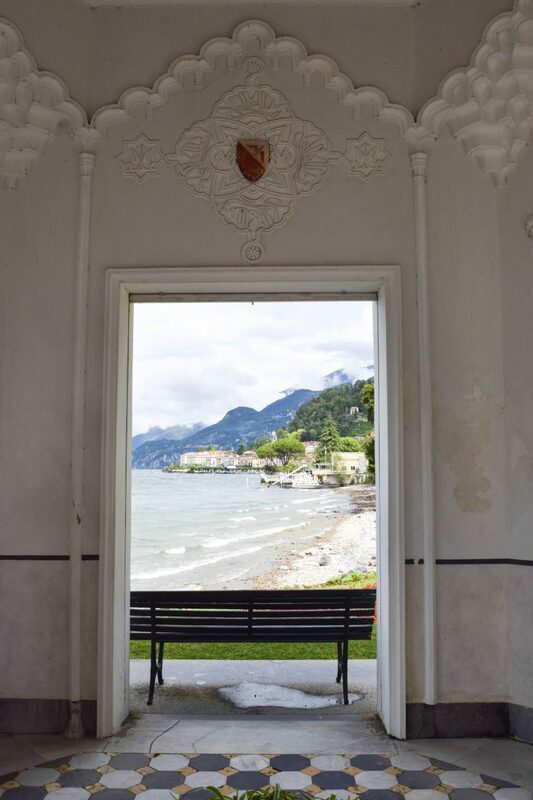 This would be a great place to grab snacks and sandwiches before going out on a boat ride. Getting there– we flew into Milan and then had hired a private driver to take us from the airport to Bellagio and back when we left. The ride was about an hour and fifteen minutes so not too bad. Be sure to wear comfy shoes with good traction to them when walking around. 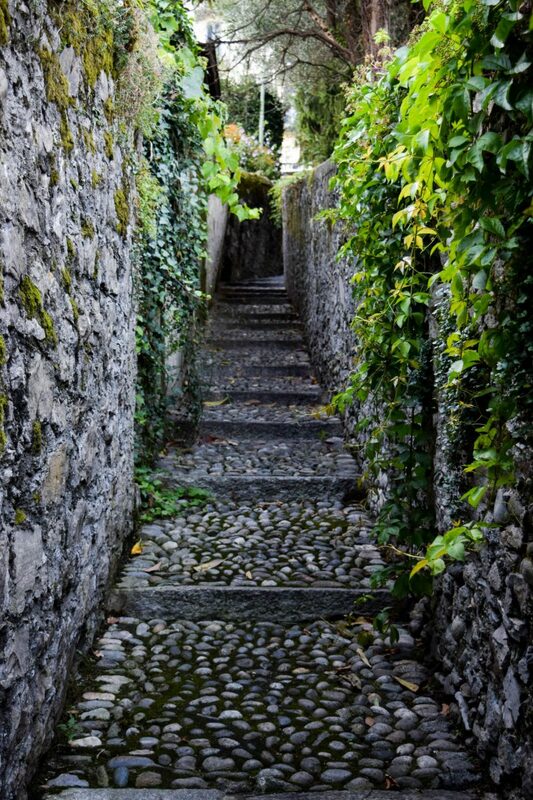 You’ll get in a lot of steps and stairs each day in Bellagio. 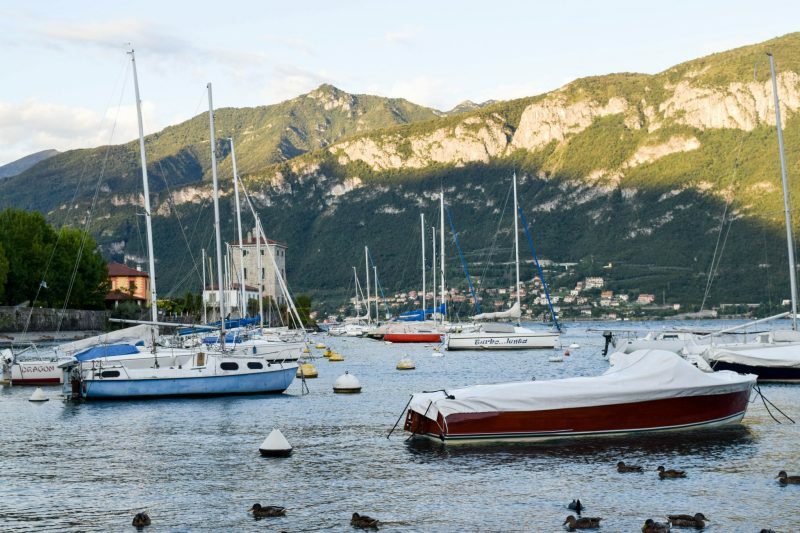 Check out Bellagio Water Sports for something active to do on the water. Unfortunately the weather didn’t cooperate for us, but we had planned to do a kayak tour. Definitely on my bucket list to do in the future! ahhh! 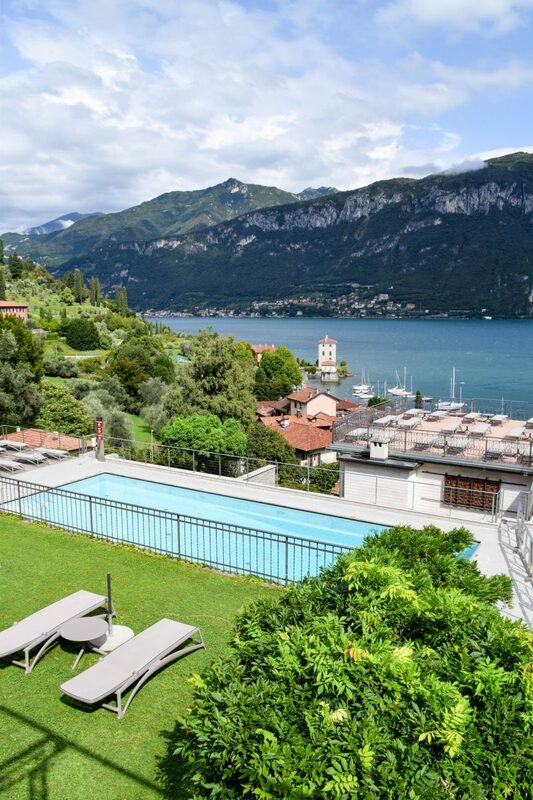 this makes me want to book another trip to Italy. There’s just something so magical about that country – this time last year we were gearing up for our 2+week honeymoon, and I’m so wishing we were doing it again this year!